Rich with useful data, these books provide addresses and phone numbers, including those of well-known figures of art, culture and politics as well as information and ads about government institutions, party, business and professional organizations, societies, clubs, cultural and educational institutions, financial and credit institutions for industry and trade. 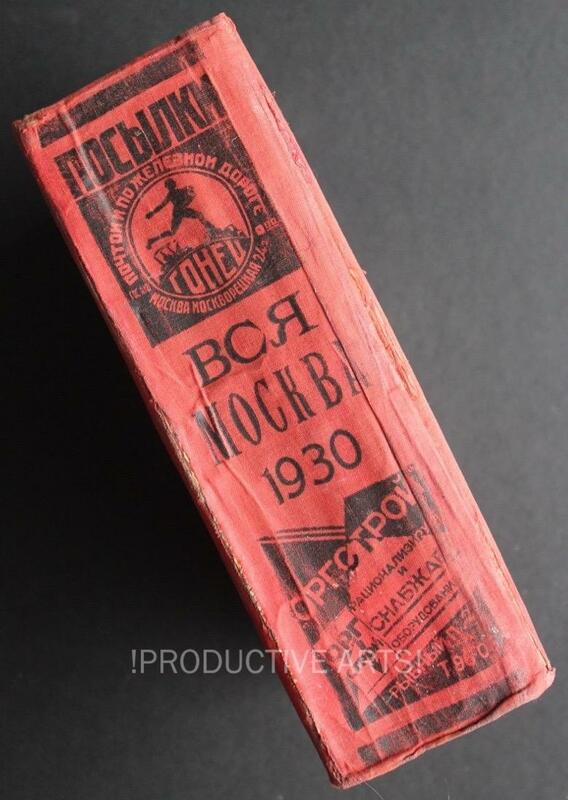 Rarely found individually, much less in groups, this collection of 12 telephone and directory books- -all but one from Moscow (plus one from Leningrad)- -offers insights into the early Soviet era that are unavailable from other sources. Vsia Moskva adresnaia i spravochnaia kniga na 1925 god. 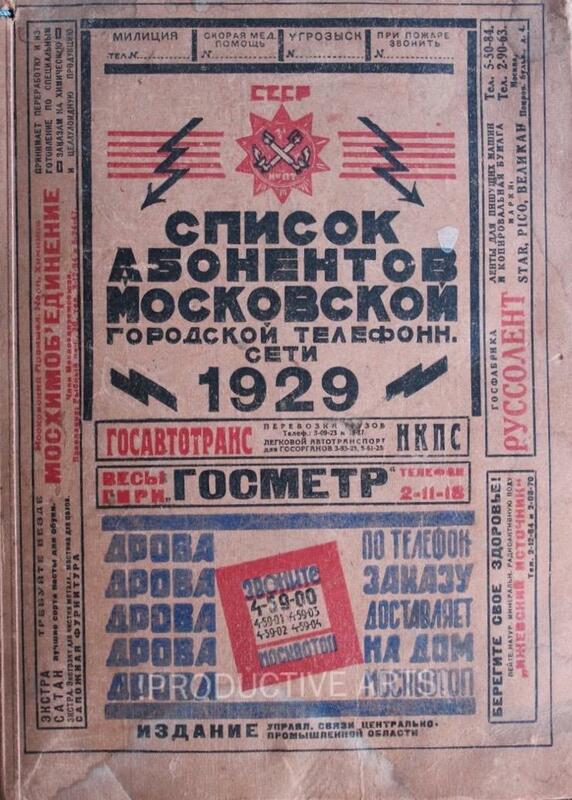 All Moscow Address and Reference Book for the Year 1925. Moscow. 1,960 pp. 7 ¼ x 11”. Hardback covers. 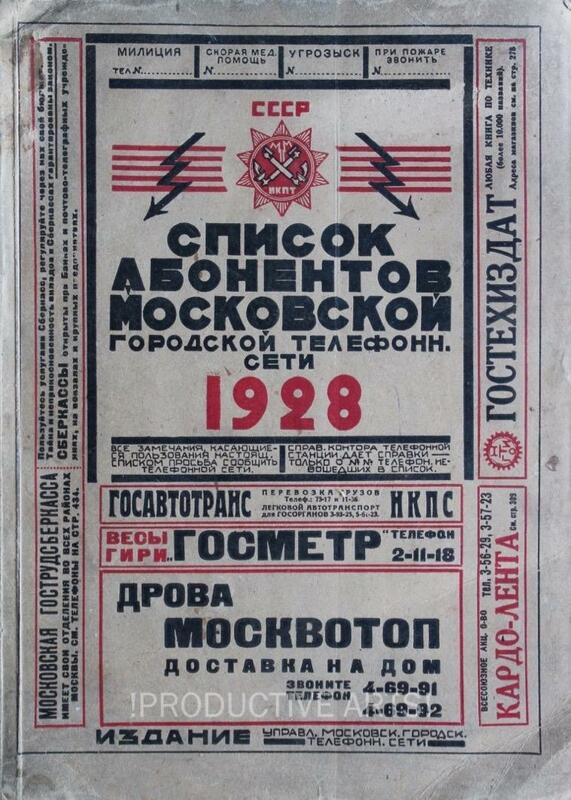 Spisok abonentov telefonnykh setei Moskovskoi gubernii na 1925-26. 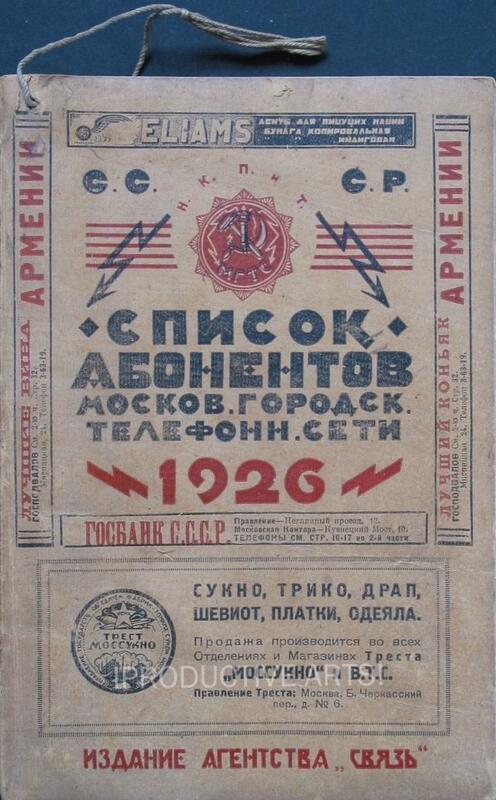 List of Subscribers of the Telephone Network of the Moscow Region for 1925-26. 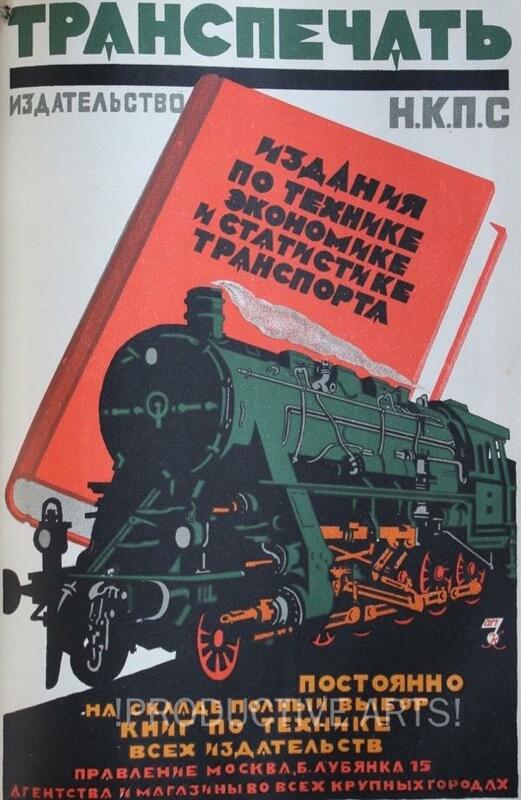 Rear cover Mosselprom ad by Titov with Mayakovsky verse. 190 pp. 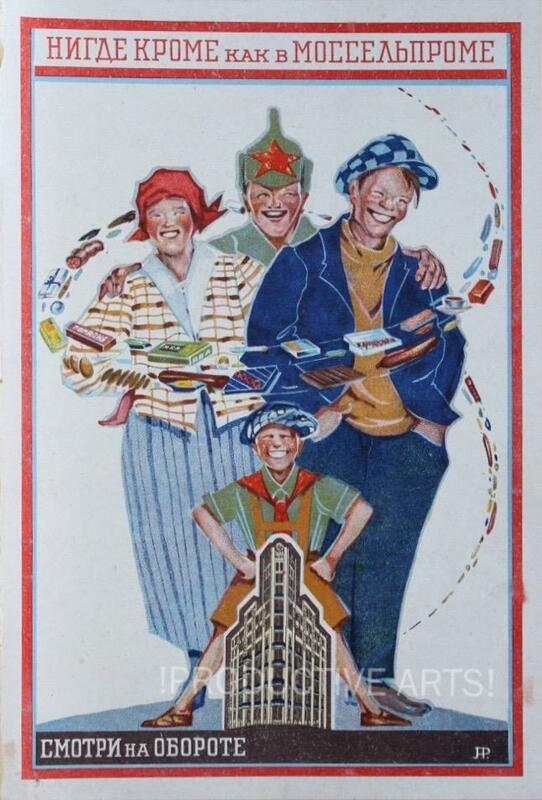 7 x 10 ½”. Softcovers. Spisok abonentov Moskov. gorodsk. telefonn. seti 1926 . 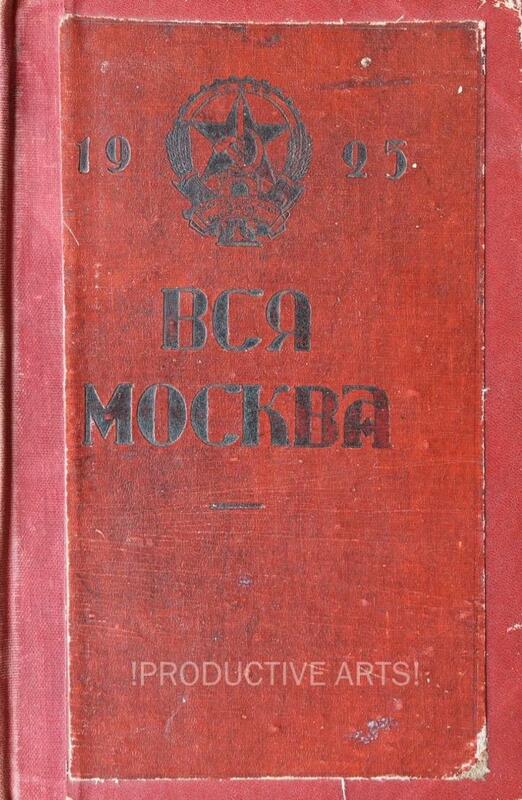 List of Subscribers of Moscow City Telephone Networks 1926. 633 pp. 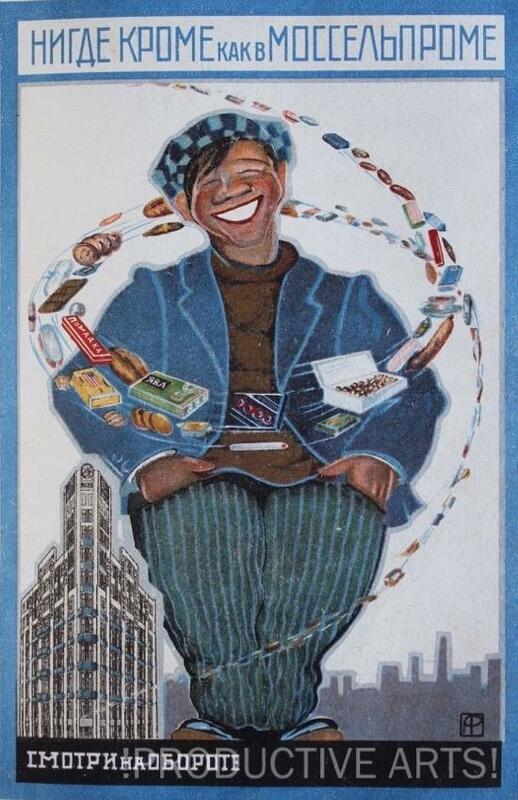 Color illustrated ads. 7 x 10 ¼”. Softcovers . Ves' Leningrad. All of Leningrad in Year 1926. 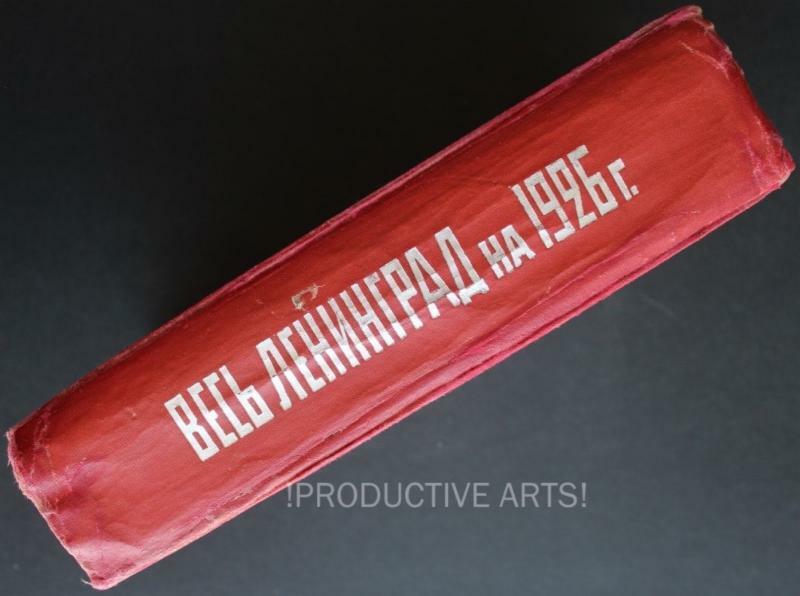 1,058 pages with large Plan of Leningrad... fold-out color maps. 12 x 9". Hardback covers. Spisok abonentov Moskovskoi gorodskoi telefonn. seti 1928 . 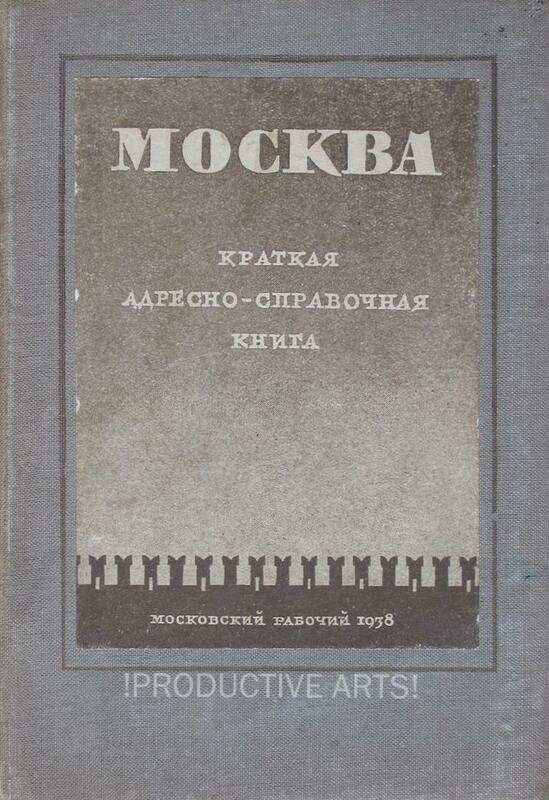 List of Subscribers of Moscow City Telephone Networks 1928. 580 pp. 8 x 11”. Softcovers. 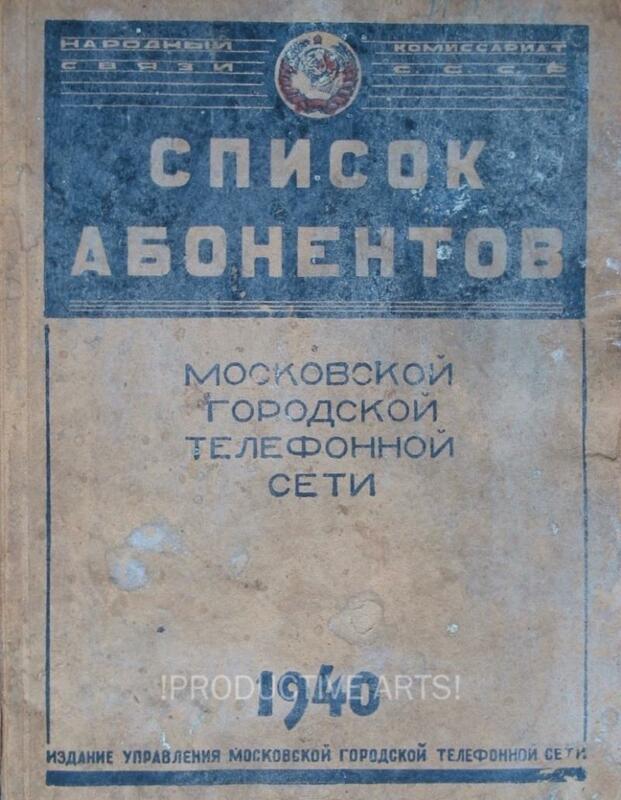 Spisok abonentov Moskovskoy gorodskoi telefonnykh seti 1929 . 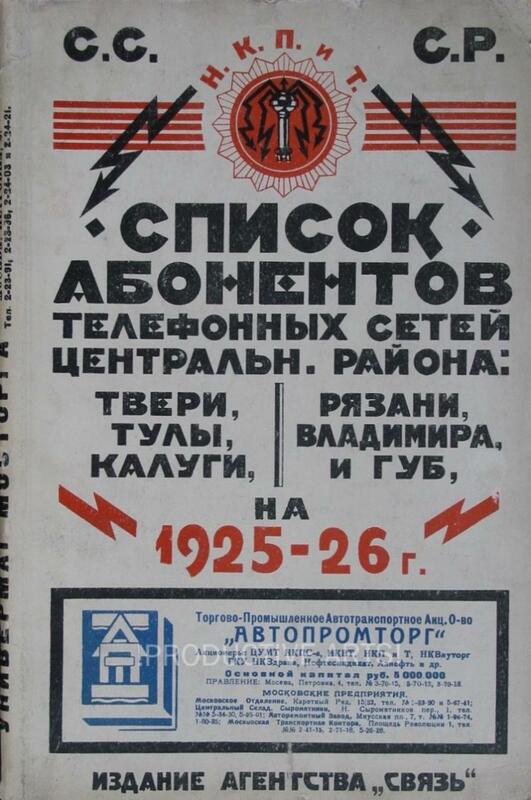 List of Subscribers of Moscow City Telephone Networks 1929. 566 pp. 8 x 11”. Softcovers. Vsia Moskva adresnaia i spravochnaia kniga na 1930 god. 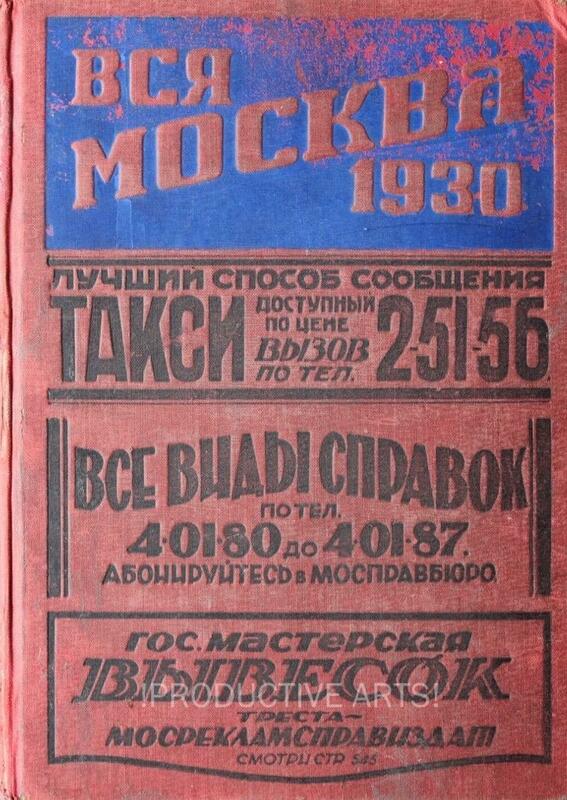 All Moscow Address and Reference Book for the Year 1930. Lacking pp. 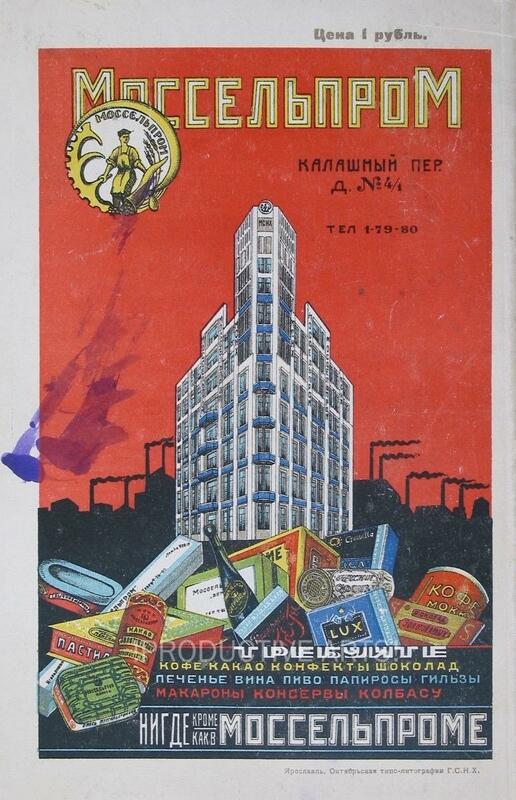 285-300 (with plans for theaters) and plan of Moscow insert from back cover pocket. 1,382 pp. 7 ¼ x 10”. Hardback covers. ﻿ Spisok abonentov Moskovskoi gorodskikh telefonnykh seti . List of Subscribers of Moscow City Telephone Networks. 566 pp. 7-3/4 x 10-1/4”. Softcovers. ﻿Teatral'nyi spravochnik SSSR. 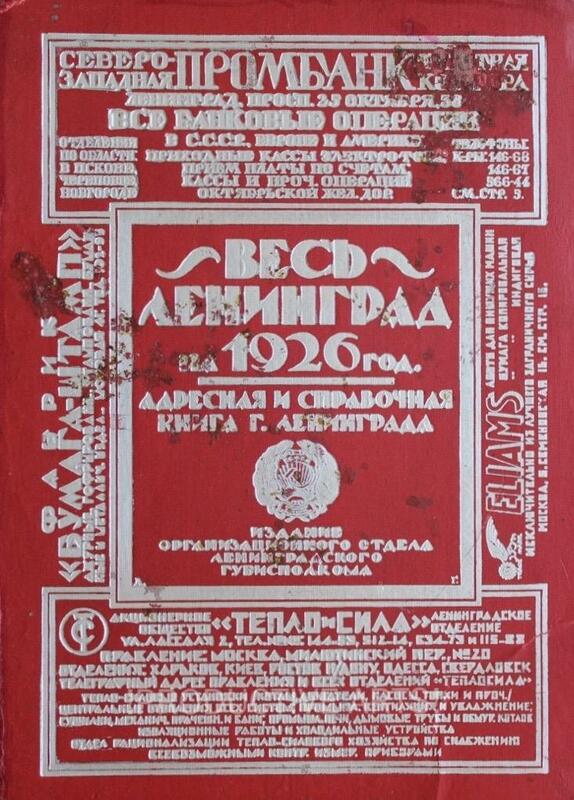 Theatrical Directory of the USSR. 1937-38. 562 pp. 5 x 6-3/4”. Hardback covers. 1938. Moskva kratkaia adresno-spravochnaia kniga. 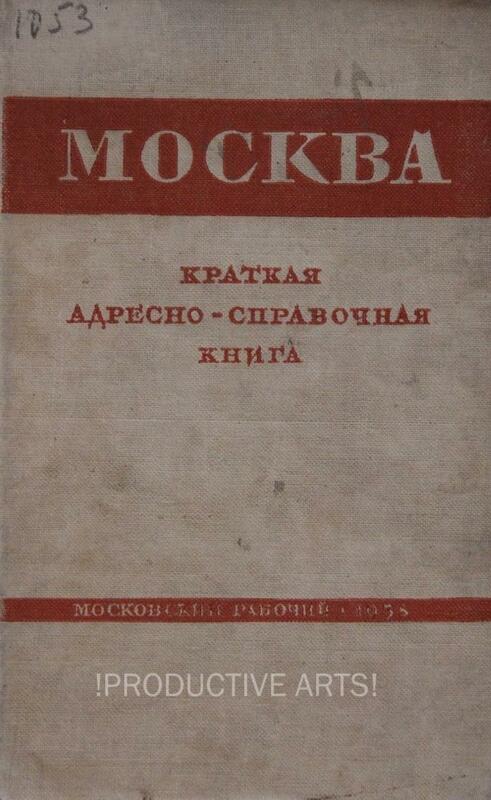 Moscow concise address-reference book. 356 pp. 4 ¼ x 6-3/4”. Hardback covers. 1938. Moskva kratkaia adresno-spravochnaia kniga. Moscow concise address-reference book. 2d ed. 242 pp. 4 ¼ x 6-3/4”. Hardback covers with large “Thomas Guide” style map of Moscow with annotated locations. Hardback covers. 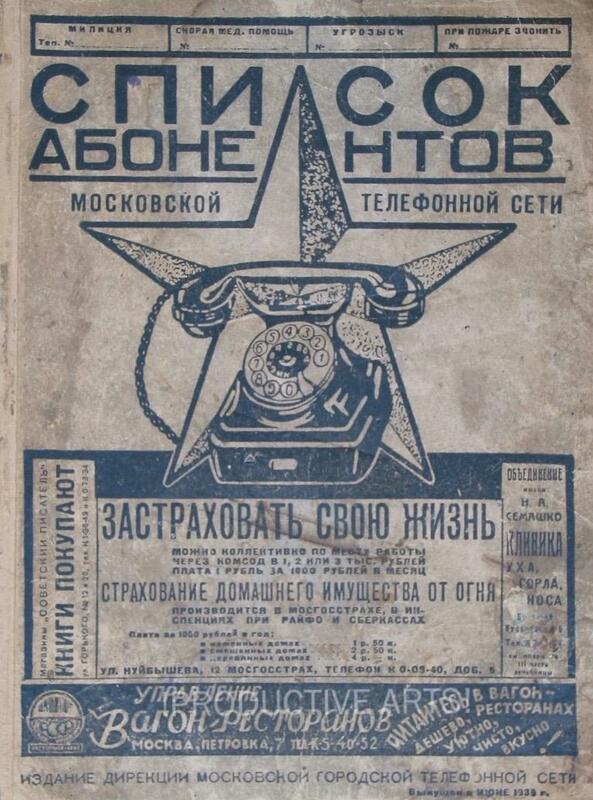 Spisok abonentov Moskovskoi gorodskoi telefonnoi seti 1940. 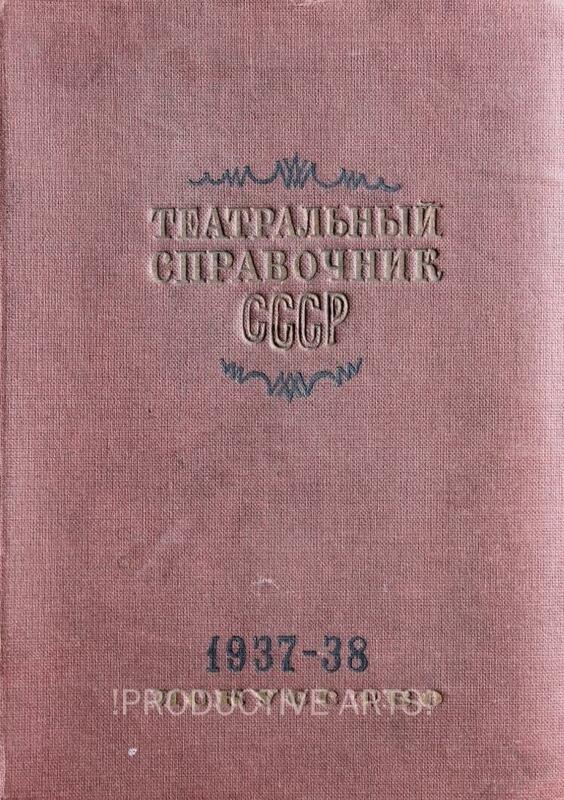 List of Moscow Telephone Network Subscribers 1940. 714 pp. 7 3/4 x 10-1/4”. Softcovers.